REDLANDS, Calif. (BRAIN) — Charles David Cole III, the founder of Five Ten, died on Saturday, July 14, at the age of 63. WASHINGTON (BRAIN) — The League of American Bicyclists is among the safety and consumer advocacy groups that sent a letter to the U.S. Senate this week to oppose a maneuver that would speed self-driving vehicle legislation through Congress. ALISO VIEJO, Calif. (BRAIN) — Highway Two has promoted Justin Savord to North American sales director. DENVER (BRAIN) — Boa Technology has tripled its space at its new global headquarters, which is located in Denver's RiNo Art District at 3575 Ringsby Court. 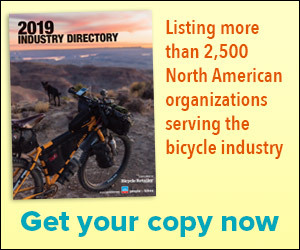 BOULDER, Colo. (BRAIN) — BikeRadar.com's publishers, U.K.-based Immediate Media, has closed its U.S. editorial offices, which included three editors who worked in the Boulder area.